Walking Football Scotland Trustees Vivian Wallace and Chairman Gary McLaughlin were delighted to accept an invitation to a birthday party at a special parliamentary reception in the Scottish Parliament, sponsored by Christine Grahame MSP, to celebrate the 75th Anniversary of Age Scotland. WFS are affiliated to Age Scotland and proud to be part of the big family that came together to enjoy the celebrations for this landmark occasion. The event looked back at where Age Scotland came from, what they are doing just now for older people across the country and more importantly to the future. The new Minister for Older People, Christina McKelvie MSP, thanked the contributions of hundreds of charity supporters over the span of Age Scotland’s 75 years. “We’re delighted to celebrate this significant anniversary with so many older people’s groups, supporters and volunteers who’ve built and contributed to our work over the last 75 years. It is especially welcome that Scotland’s first Minister for Older People will help lead this celebration and to Deputy Presiding Officer Christine Grahame for hosting this reception in the Scottish Parliament. 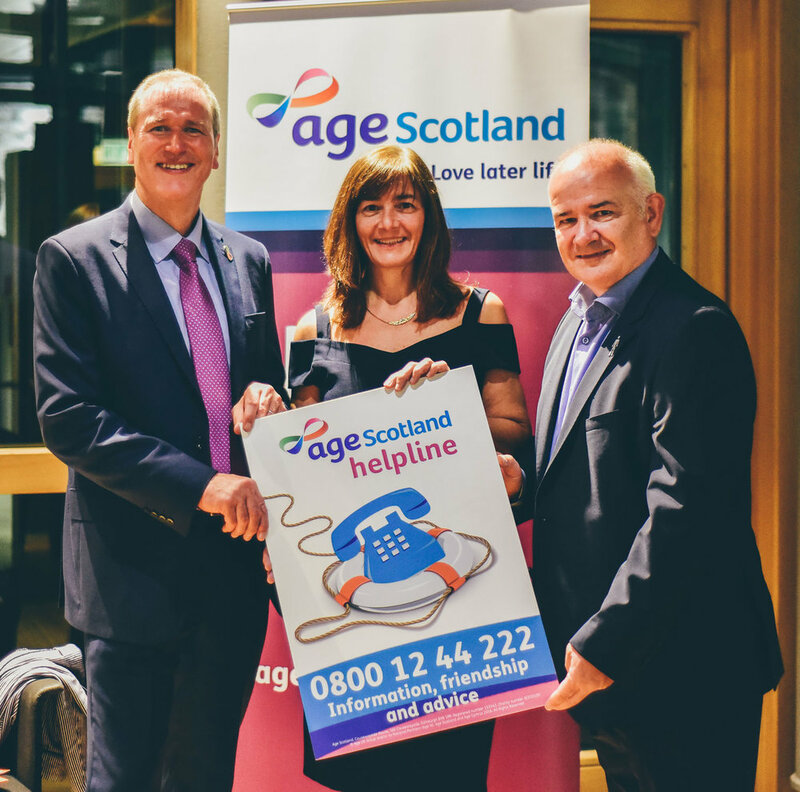 “Over the last 75 years, Age Scotland and predecessor charities from the Scottish Older People’s Welfare Committee, to Age Concern and Help the Aged have been at the forefront of campaigning to improve the lives of older people in Scotland. The history is fascinating and the issues affecting the lives of older people have broadly remained consistent. Housing, poverty, health and loneliness are all issues which affect older people as much today as they did 75 years ago. We have come far, but there is still a long way to go.